Lake Norman is the largest man-made lake in North Carolina, and is located in the northern part of Mecklenburg County, just 18 miles northwest of Charlotte. It is sometimes called an “Inland Sea,” with over 520 miles of beautiful shoreline. The Lake Norman area actually consists of several small towns and communities surrounding the lake and Lake Norman State Park. Twenty years ago, this area was primarily a weekend retreat, but that changed with the completion of I-77. It is now one of the most rapidly growing and popular areas in North Carolina. Everyone loves Lake Norman - families, retirees, or couples looking for a romantic weekend retreat. The lake and State Park offer everything you’d expect and more, from power boating and sailing to camping and fishing. There is a large number and variety of accommodations for travelers in Lake Norman, and also many fine restaurants, some of them with gorgeous dockside views. And if you want a change of pace from lakeside activities, there is shopping and entertainment, historical sites, art exhibits and museums to explore in the nearby small towns and Charlotte. Boat Docks: Are they permitted? Yes there are many boat docks however if you buy land that doesn’t have one you do have to go through a process to see if that particular lot will be allowed to have one and how big it can be. Power Boats: Are they permitted? Yes the lake is primarily powerboats however there are lots of sailboats, antique boats, fishing boats, jet ski’s and even sea planes. There are two air parks on the lake. Nearby cities: Charlotte is the main city nearby however the main one however it is not on the lake. Mooresville (Race City – known for NASCAR) is one, Cornelius, Huntersville, Davidson, Sherrill’s Ford, Denver, Troutman and Statesville all surround the lake. 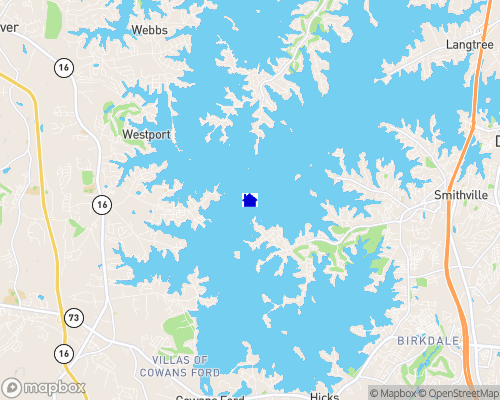 Nearest airport: Charlotte Airport is about an hour from Mooresville at close to the top of the lake however it is about 30 minutes from the bottom of the lake. Building restrictions: There are many restrictions that are either from Duke Energy that owns the lake as well as restrictions based on a Home Owners Association that a home or property may be in. Popular game fish in Lake Norman include crappie, bluegill and yellow perch, as well as striped, largemouth and white bass. The smaller park lake also has some choice fishing spots. Regulations of the NC Wildlife Resources Commission apply for both lakes. Pedal boats and canoes are available for rent from the swimming area bathhouse at the Lake Norman State Park (www.ils.unc.edu/parkproject/visit/lano/home.html). Boats are available daily from 10 a.m. to 5:30 p.m. during the summer and from noon to 5 p.m. on some weekends in spring and fall. Privately owned boats and watercraft may access Lake Norman from the boat launch area located at the south end of the park. Use of the area is free, but cars must leave the parking area by the park's closing time. (Lake Norman State Park) Family Tent/Trailer Camping: Tent pads, picnic tables and grills are available at 33 sites on a first-come, first-served basis for a fee. Occupancy is limited to one family or six people per site. Park gates are locked at the posted closing hours. Campers may not leave the park after closing or before 8 a.m. except in an emergency. Group Tent Camping: Walk-in group campsites may be reserved by organized groups for a fee. Campers without reservations must confirm site availability with park staff before occupying a site. No more than 25 people are permitted on each site. Drinking water and restrooms are available nearby; picnic tables and a fire ring are provided at each site. The towns and communities in Lake Norman are thriving with life and enthusiasm, making Lake Norman the ideal place to live, work, and especially play. Lakefront communities, golf course living, and a small town atmosphere all add up to an unmatched quality of Carolina life.